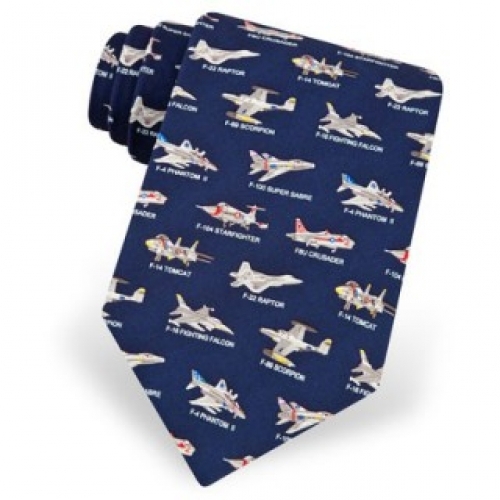 If you have an appreciation for U.S. Air Force jets and military aircrafts, you will love this impeccable 100% silk necktie by Alynn Neckwear. This finely crafted novelty tie features U.S. Fighter Jets like the the F-14 Tomcat, F-89 Scorpion, F-22 Raptor and the F-100 Super Sabre atop a navy blue background. Makes for a unique and thoughtful gift for veterans, navy soldiers, and history buffs! Navy only.